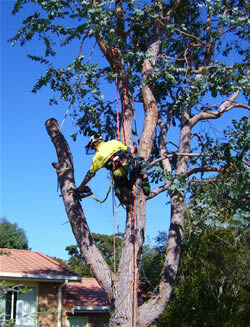 Sapphire Coast Tree Service & Tower Hire automatically collects statistical information. This information is anonymous, for example we may gather information to tell us how many visited this web page, but we do not know any further specific details about these visitors. Sapphire Coast Tree Service & Tower Hire will only use the personal information you have chosen to provide us for the purpose for which you provided it. We will not use it for any other purpose without your consent. There may be situations where it will be required by law to disclose personal information submitted to Sapphire Coast Tree Service & Tower Hire to third parties. Sapphire Coast Tree Service & Tower Hire operates secure data networks that are designed to protect your privacy and security. 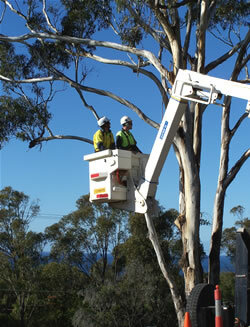 If you have any concerns regarding privacy issues on the website, please notify Sapphire Coast Tree Service & Tower Hire. While Sapphire Coast Tree Service & Tower Hire accepts no liability for any material or links posted to the service, we will investigate all complaints. © 2019 Sapphire Coast Tree Services & Tower Hire owns the copyright for all material presented on this site. Power line vegetation management and tree clearance services, cover the south east region from Goulburn to the Victorian border and ACT. Free Quotes in all areas.